The Jeep Wrangler is a compact four-wheel drive off-road SUV designed and manufactured by Jeep. Produced as an evolution of the WWII Jeep CJ (Civilian Jeep), the Wrangler line continues to be Jeep’s core brand identity. Designed with rugged off-road capabilities and features that emphasize flexibility, versatility, and freedom, the Jeep Wrangler typically prioritizes performance over comfort and safety. Jeep Wrangler’s come with either a hard or soft-top roof with the option to be completely open. 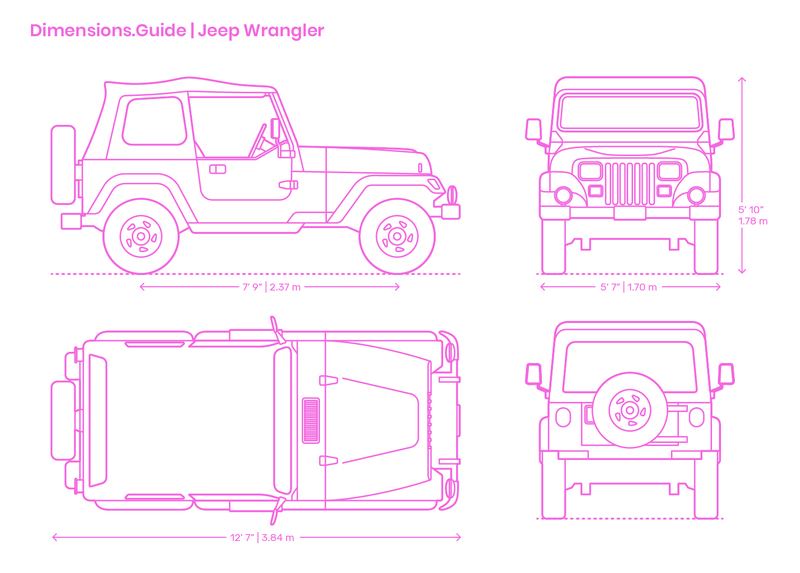 Jeep Wrangler’s have an overall length of 12’7” | 3.84 m, width of 5’7” | 1.70 m, and height of 5’10” | 1.78 m.